Our offered range of Crimped Wire Mesh is highly appreciated in the market for its compact designs, and optimum quality. After years of hard work, we have become one of the most loved manufacturers, exporters, and suppliers of Crimped Wire Mesh from Varanasi, Uttar Pradesh, India. 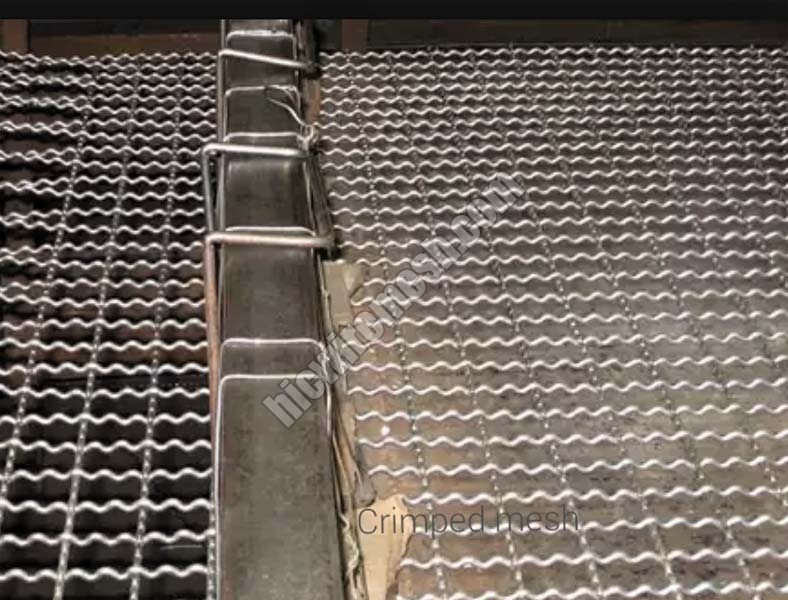 While our range of Crimped Wire Mesh is manufactured using approved materials, and checked for its quality, the mesh is loved by the clients for its sturdy construction, corrosion-free nature, and effective usage. As the Crimped Wire Mesh is widely used in various industrial applications, the Crimped Wire Mesh can be availed in various sizes and other specifications. Description : Crimped Mesh is also referred to as Heavy Wire Mesh. It is mainly used in industries for heavy screening and sieving. Application : Acoustics (screens, speakers, etc.) Fences on highways Cities street design Filters of trucks, cars, tractors, combines Calibration and screening of coal, stone sorting, etc. Screens of heating devices Ventilation grids Design Floorings, stairs Fences of the lifts, courts, gardens, electrical devices and etc Reinforcement.